We are proud to report that our second shipment successfully arrived at the DHBW in Friedrichshafen on April 24th. Never before have we succeeded in completing the second shipment so early. This shows that our team works closely together, despite a distance of 8770 kilometres between the two locations. This shipment contained not only various small parts, but also a particularly large one: our chassis! It was received with pleasure by the team. The starting signal for the assembly phase of the eCar was thus set. Structured by our assembly plan, already after the first days some steps, for example the start for the assembly of the pedals or the adjustment of the battery container into the chassis were done. A lot of time was also invested in the carbon lay-up to advance our aerodynamics. 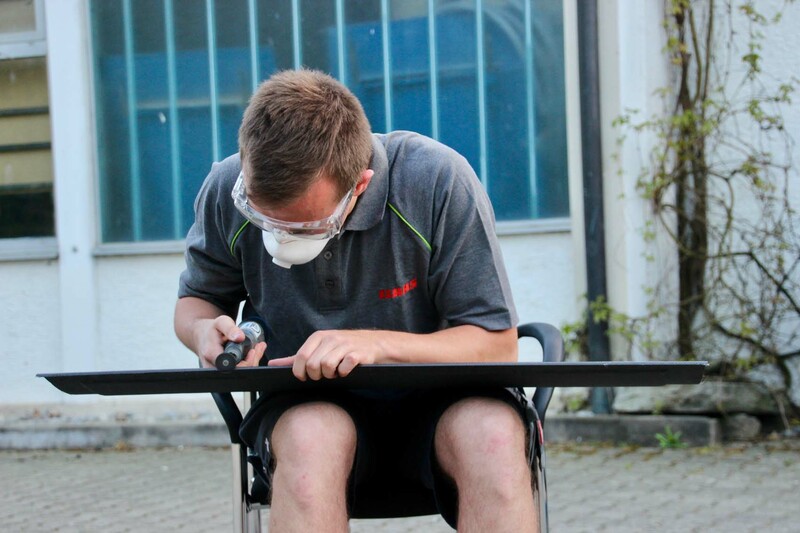 In addition to direct assembly, there are other important tasks, such as the logo placement of our sponsors on the car and the rollout organization.